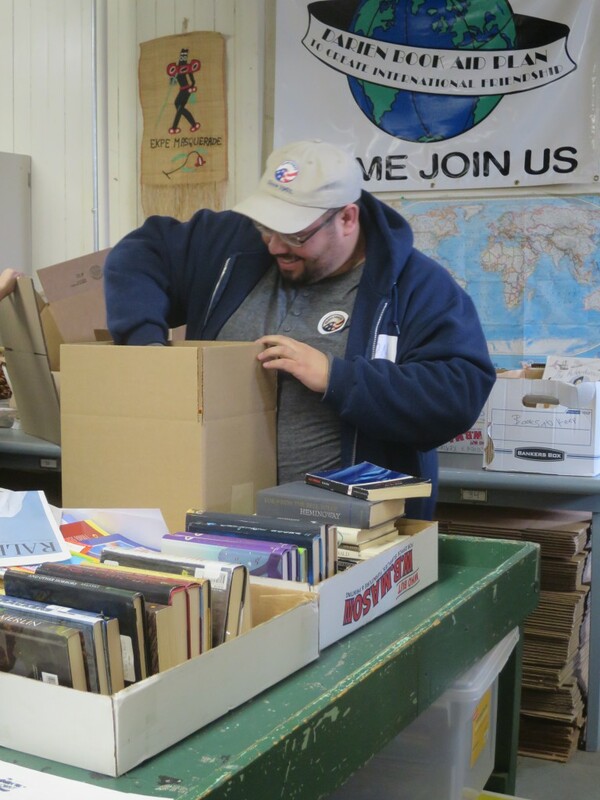 Darien Book Aid Plan, Inc.
What a wonderful day it was when four Connecticut RPCVs and three of their friends joined four Darien Book Aid Volunteers as we packed 35 boxes of books weighing approximately 900 lbs. 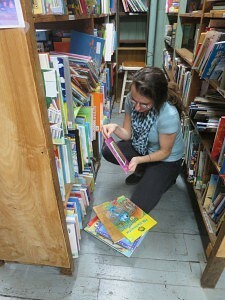 for Peace Corps Volunteers who had requested books for their school libraries. Jeff Sonshine (Ecuador 1970-1972), Jonathan Rosario (Paraguay 2011-2013), Jillian Corley (South Africa 2011-2013) and her friend Adam Winterkorn, Maureen Shanley (Colombia 1977-1979) and her friends Selina Moschello and Wendy Lionetti accomplished this awesome task in three hours. 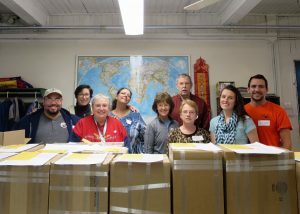 In addition to the 35 boxes of books that were packed, Maureen was able to take requests from three PCVs from Nicaragua because through CT Quest for Peace she has been able to send thousands of books in English for PCVs who are teaching English as a second language. So those three requests will be filled by CT Quest for Peace. Peggy Minnis and her daughter Jane are the two Darien Book Aid volunteers who regularly work at filling the requests from Peace Corps Volunteers. They were very gracious in thanking us for our volunteer service when it was CTRPCV who should have been thanking them for the work that they do all year long. It was delightful to have been part of that �mutual admiration society�!